I was borne and raised in Philadelphia, PA then did a three year tour with the Army in the Far East and Texas. My first career was as a printing pressman lasted for 26 years until 1993. Then after a series of life changing events in 1993 and 1994, I went to work for my son in 1995 on an outdoor adventure series shot in Alaska. The series went on to win two awards and was later aired on PBS. While working on the video project I was so taken by Alaska and its people I bought property and after completing the project returned to live here. For the first three years in Alaska I worked as an assistant hunting guide. 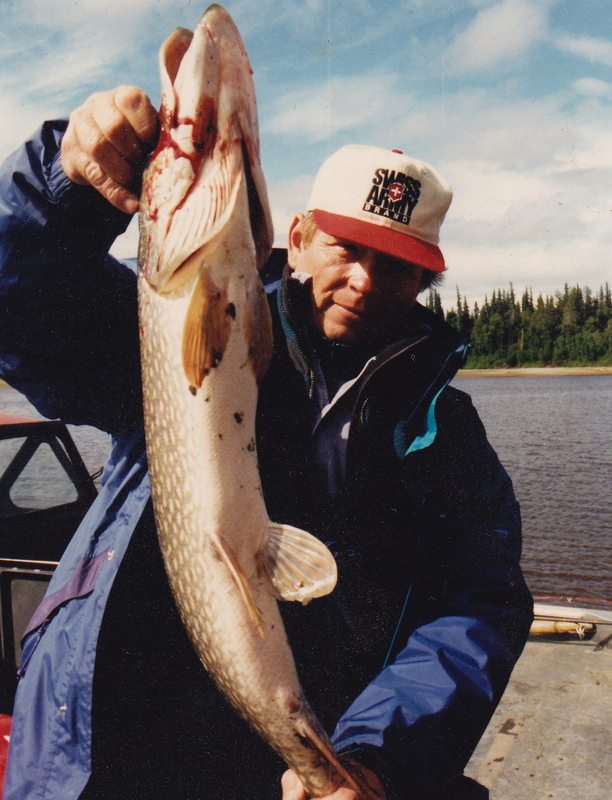 During this time I obtained an Alaskan fishing guides license and began running fishing trips down the Yukon river. In 2001 I began helping a friend build a home then the one home turned into three and I was offered a new place to live and have been here ever since. 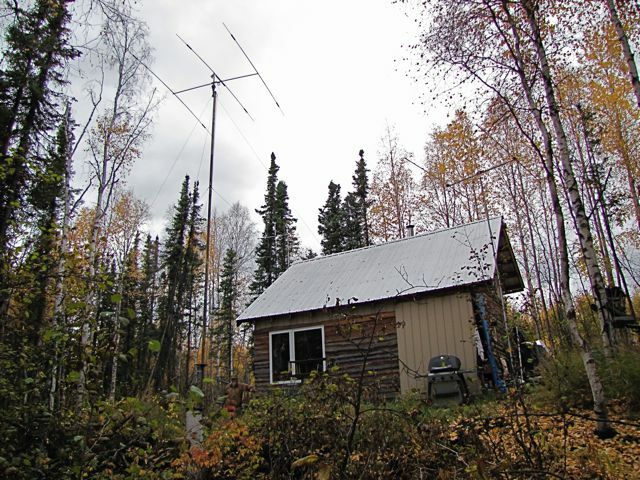 While at my new home I became a licensed Ham radio operator so I could talk with my family in the lower ’48’. Though the cabin has no full time electricity I have a battery bank, solar panels and a generator for when the need arises. Out here there is of course no running water, phone service or TV but I have found the pleasure of books…lots and lots of books. I also continue to work on Video projects and have a small editing suite for working on them. Even though I miss my children and grandchildren my daily life is full. I have few close by neighbors but I do manage to spend time with the woman that gave me this place to live and her daughter. On those few times when I may be down I have only to open my door and walk outside into the wilderness that surrounds me and I can see Gods handy work all around. Welcome to the virtual home of KL1HB in Alaska. My home has no phone, no postal mail, no cable TV, no running water or full time electricity. There is no internet or broadcast TV but I use Winlink/Airmail for emailing my family and friends. I have a battery bank charged by solar and a small generator. Off this I run my station and computers. Since our winters are sometimes severe I only make the trip to Fairbanks every couple weeks for supplies, mail, and phone calls to my family. My son Anthony (KB3DVS) talked to me about becoming a ‘ham’ for several years. So in 2002 I worked at it and got my first two tickets. Anthony visits every year and brought up the initial radio gear I needed to get up and running. After a few years of operation, he shipped up a Mosley TA33jr and on his next trip he helped me find, strip, & prepare and mount the mast and antenna on a suitable 38 foot Spruce tree. This was quite an undertaking and included manually pounding in the three guy wire mounts and hand-building all the mounts and cables. The tower is sunk a few feet in the permafrost, and there’s a few feet of mast above the tree, so, in the end, we can say that it’s about a 35′ tower, on a hill about 20′ above the road next to it. 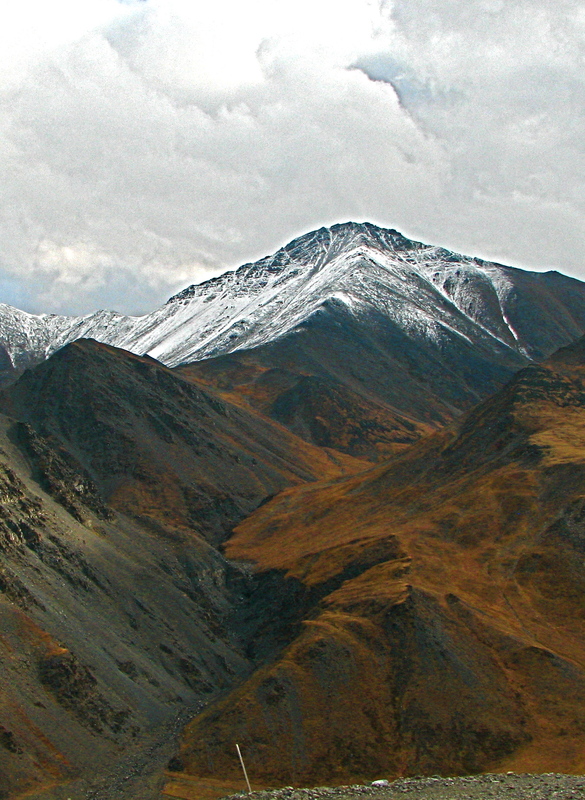 It faces down a hill, southeast to Canada and North America from Alaska. 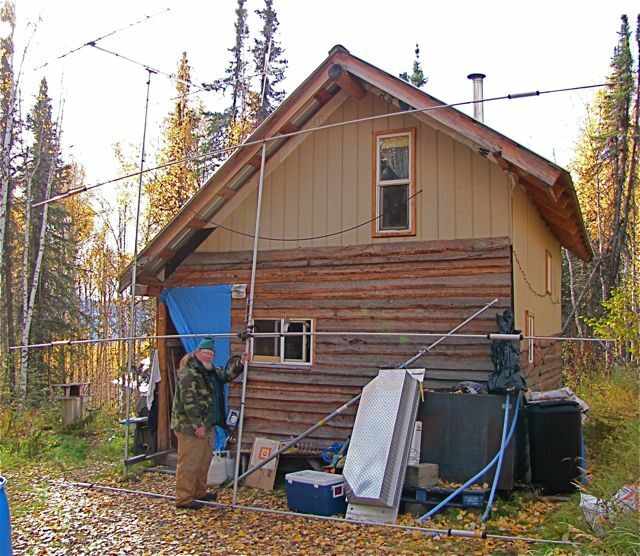 I have replaced that antenna with a new Mosley TA-33 next to my cabin, when my son visited in 2011. The picture here was taken in September. I thank him for his efforts to motivate me to become a Ham. I has proved to be a rewarding pastime and fills the many, many long winter nights up here. My gear reflects my retired nature, but does just ‘FB’. 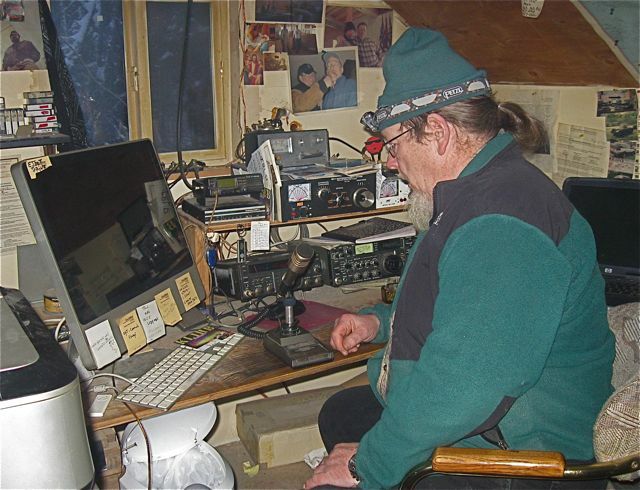 I run a Yaesu FT890 and an Icom 740 through a MFJ 986 out to either a G5RV or the Mosley. I hope to get a real tower up someday, as the tree is splitting and won’t last too much longer. Then I can also fly several dipoles off of it for when I want to work the big bands. With the hearing going of late I have been more active on PSK and I am exploring other digital modes. The photo below was taken when my daughter, Tricia, visited. She, like my son, has learned to enjoy the winter, and its Northern Lights, as well as the summer. Next to the entry way, blue tarp, is the 11 element stacked yagi system I use for my email. On the far side of the house is a 4 element yagi used for 2 meter repeater operation. These come from the generous donation of time and effort by Fairbanks’ own Jerry Curry (KL7EDK), as smart, and humble a ham as you could possibly meet. He is always willing to help out in any way and his generosity is boundless. Many thanks go out to Jerry for everything he’s done over the years. Ham’s looking for the true Alaskan wilderness experience, or those wishing to operate at the Arctic Circle, or even at the top of the world at Prudhoe bay, give me a shout and I will be glad to help in any way I can. Come out and enjoy our hobby among the wilderness and the animals in a place truly touched by God. 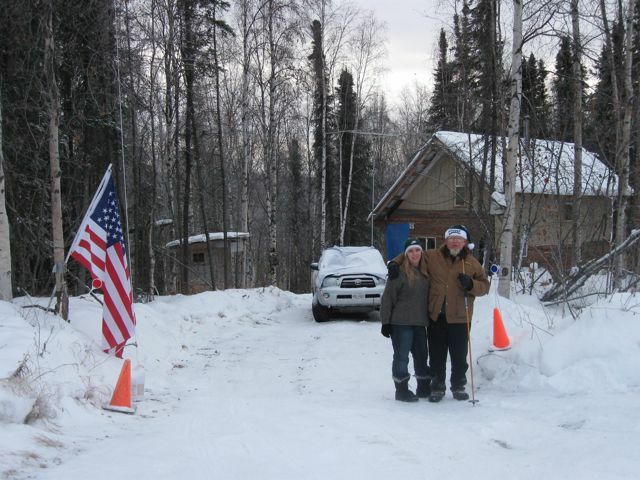 Just found your site this morning from the link posted in the News Miner – love to see the photos of your place – will be checking out the weather “55 miles north of Fairbanks” on line. Regards. My son, who is living in Fbks at Ft. Wainwright has my dad’s hatchet. He inherited it when his Granpa passed about 14 years ago. 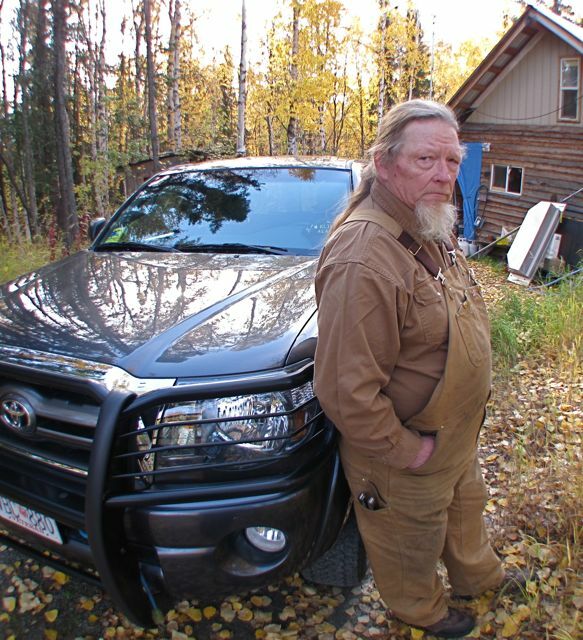 He has a bear baiting station north of Fbnks, and his brother, also an army guy, visiting from HI came for bear hunting. They went to the stand last week, and as they were moving around, one of the supports broke. My elder son went back to the vehicle to retrieve the hatchet, and using Granpas’ hatchet repaired the stand. He always make sure to tell us when he has a use for that hatchet.. it really means something to him to have part of Granpa with him!! Just like a hand saw I used here on the homestead to help build the cabin. My batteries went dead in my power saw and I wanted to finish a cut. I grabbed my fathers old hand saw and went to work. I remember thinking about my dad working in his garage cutting some wood for shelves… There is always a connection if we allow ourselves to reach for it. Found your blog through the arctic cam friends. I LOVE Alaska, I love wilderness. I am thrilled to be able to read your stories. I have read many books about the people who have made Alaska their home, a few native books and, in fact, I have an entire bookcase with nothing but Alaskan books. However, the radio tower is not in permafrost, it is in the potato patch, LOL. Hello Pete, I just ran across this website and kept reading to see if it was really you. 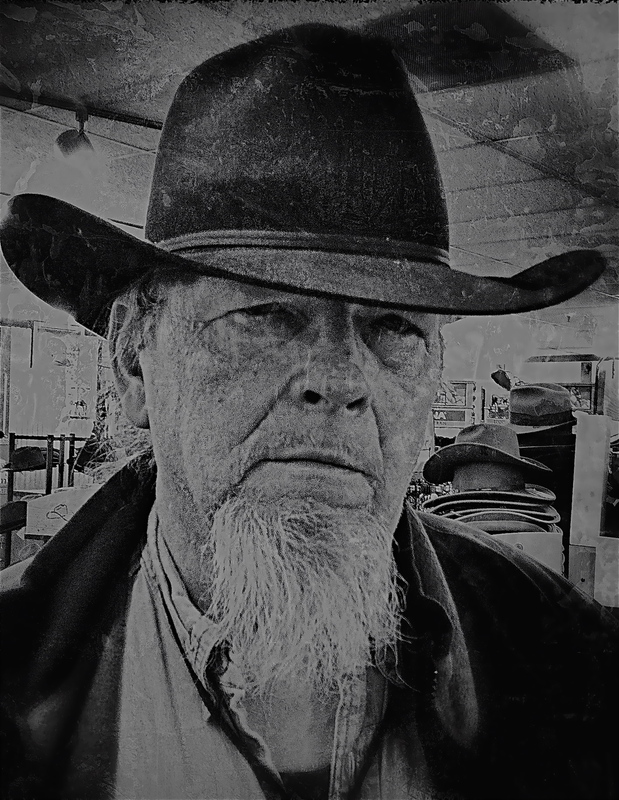 You may not remember me but I was at Lost Creek Ranch wrangling the horses etc the year that you and your son came up there to do the videos…I think Elizabeth was the young lady that was “traveling” in the video and doing all of the fun stuff. 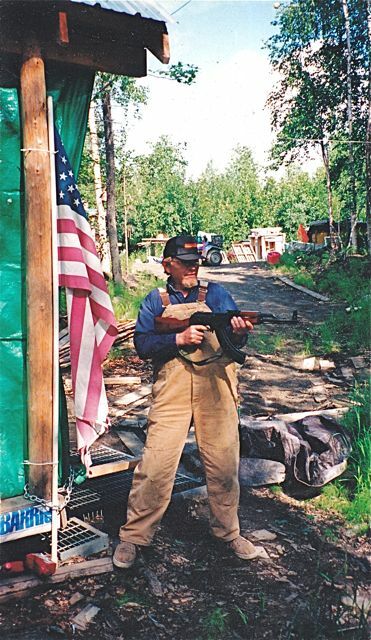 I did come back to help Les and his group on a sheep hunt in the Denali area around 2000 or 2001. I do hear from Rosalyn now and then. Right now trying to get a hold of Cara Cobb to talk business. Sorry to hear that you are not well. Good to hear that your kids get up there and see you now and then. So many changes in that area. Your QSL cards arrived today. Thanks a lot. I just read you “biography” text, and I think it must be so exciting to live there and even be active on HAM Radio waves. My best regards, hope to meet you again my friend. 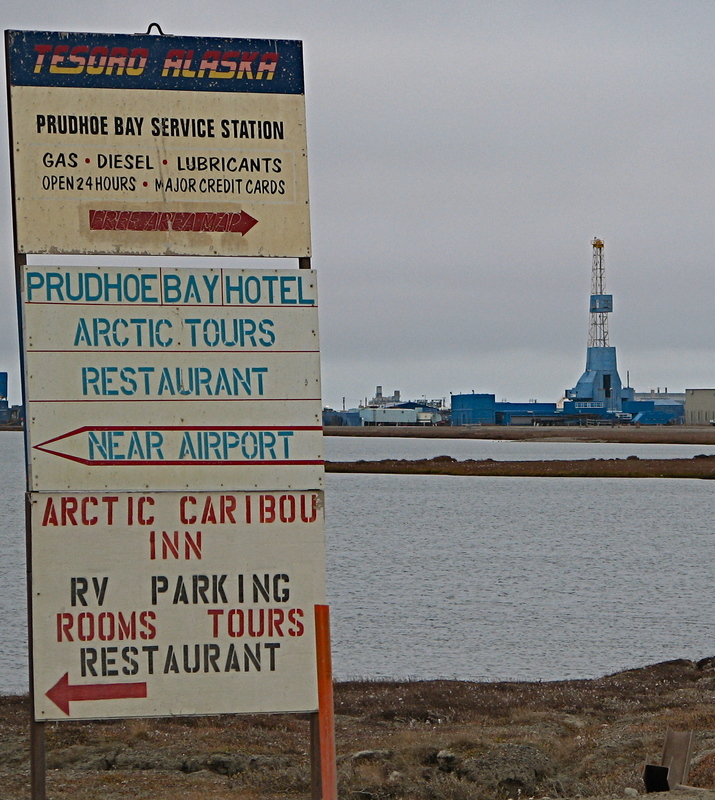 A few of us are putting together a ham shack in Prudhoe Bay at the BOC. We have to get most of our work done between six and ten PM, more often between eight and ten PM. We are trying to string some wire so that we can get onto 75/80, but do you work on 20? Let me know. I won’t be going back for a couple of weeks +. I do get my email. Give me a hollar! Hey. Tricia just sent me this link earlier today, so I thought I’d check it out, and decided to leave you a message since I haven’t talked to you in a while. I’m not going to say much since I’m using my phone right now. I’ll talk to you again soon. I just wanted to say hi to you after reading your Op-Ed in qst magazine. I stumbled across ur bolg, while googling “living w/o oil n oil products” I read a few of ur stories, n found that we share some simalar ideals. I am subscribing to ur blog n inviting u to take a peak at mine. I have been on a break from writing, but u hv been very inspiring. Thank you. My Dad was a ham; KL7FM, out of Juneau, later out of Edmonds, WA. It gave him hours of enjoyment. His favorite card was from King Hussain of Jordan, also a ham operator while he was alive. Hi Pete, I just heard you on 10 mtrs, you were very loud into N. Ala., I looked you up on qrz and found your site, been reading your blog and looking at pic’s, enjoyed it very much and your views!!!! I’ll look for you again on 10 in the afternoon’s here in Ala. Thanks for visiting! Your life sounds very cool! Awesome! I lived in the interior for years, but not as off the grid as you. I didn’t have a phone or water or internet either, but nothing compared to what you’re doing. Do you like Seth Kantner? He writes amazing stuff about Alaskan life so if you haven’t read him, I’d recommend his work, especially Ordinary Wolves. Thanks for stopping by and I’ll continue to read your work. Thanks for visiting the blog and commenting. I have a small library of Alaskan authors but the name is not familiar. I will look him up, thanks. You’re welcome! Great, you will not be disappointed! 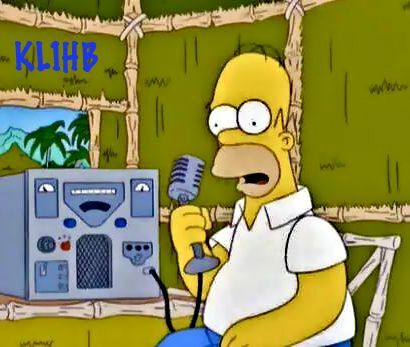 Just reading about your ham experiences has ignited a ‘fire of interest’ in obtaining a ham radio license for myself. I’m going to be looking into what is involved; it does sound like something I will enjoy doing. Thanks so much for all your shared wisdom and perspective! Hello, Pete, and thanks for stopping by my blog. I’ve been coming to Alaska for years (my daughter studied at UAF and now works here as a surgeon), but recently since my daughter and her family moved to Fairbanks, I’m in AK about a quarter of the time. You embody the courageous Alaskan spirit, as far as I can tell, and I look forward to reading your posts and learning from your adventures. Wondering about the loneliness factor in being so on your own (because we’re considering moving north). Does it ever get to you or are you just too darn busy surviving for it to be an issue? I’m and artist and writer, as is my husband, so I know that would fill a chunk of time. Your cabin and its setting, by the way, look beautiful! Thank you for stopping by “Not Pretending” and deciding to follow along! I just got back from an Alaskan inland waterway cruise and will be posting about that adventure! You may find it amusing. What a beautiful place you live in! Thanks Pete. Really pleased to have found your blog. Quite a life story! Lots to explore. I had a months backpacking trip in Alaska many years ago with many fond memories. Regards from Thom at the immortal jukebox (drop a nickel). Looks like you’ve done it right! No Like Button? What a great way to live! Thanks for following FIGHTER FAITH. I’m providing a free copy of my e-book Far Better Men to service members, veterans, and e-mail subcribers. Come on back if you’re interested in this free digital download. i have this tendency to struggle with insomnia. and on nights like this, i start stumbling around the web. your blog came up as recommended, so i came to take a look and try to figure out WHY it was recommended. apparently someone i follow also follows you. i can only guess that fellow follower must be my brother, Dave. tell him i said hello when he returns after the holiday. Thank you for liking my article, Is It Really Just Science? My wife would love it in Alaska. I would love the fishing and nature, but it looks like a lot of work. 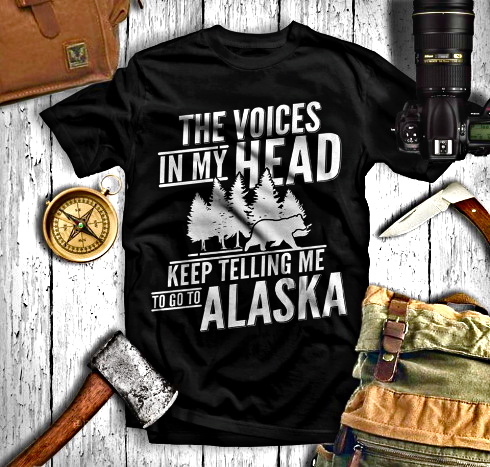 I think I will sit and write in the lower 48 and daydream read your blog about Alaska instead. Thanks for the like on The Expositrix, Pete! Stay warm up there! Thanks for dropping by my blog. :) My Dad was from Pa too. Greeting Pete from N6IJB, Gordon–in Bayside, Ca 300 miles north of San Francisco on the coast. We could try a QSO on 20 or maybe 15 if you like. Just found this site and I’m very glad that I did! I was born at Elmendorf AFB and while we were stationed there (I have no memories of it…..we moved to DC when I was 2), my future sister-in-law was living in Fairbanks at the AFB there. I’m a sponge soaking up anything I can read about my birth-state. Sorry I am credulously slow in responding to comments.. Love going up to Willow Grove to see the Blue Angels at the air show. Brr – I get enough of winter in my adopted state of NV. Been here almost 20 years. Blame it on being born in AZ; I’ll take 95 in the shade to 10 degrees any day of the week. AZ may be warmer than my old cabin home but since I have moved to Texas and it’s 100 degree heat I really miss my ‘cooler’ weather! Awesome blog Pete and so happy you are able to live your dream. We had dreamed of living in the Upper Penninsula about 7 hours north of our “work camp” in southern Michigan but my husband’s arthritis seems too bad for us to stay up there all through the winter. Your blog is lovely and I’d like to follow it. Thanks, Pete :) Can see great writing here! How cool! 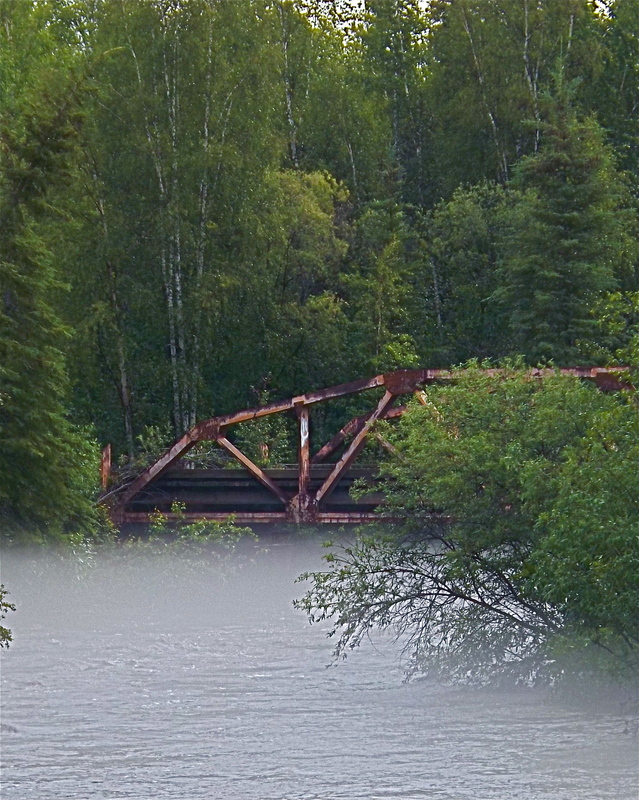 I have some very fond childhood memories form spending summers in Alaska. Looking forward to follow your blog.